This is a post from Gideon Jones, a recent addition to the Foodtree team. Here at Foodtree, we are always asking where our food has come from – if we were to ask Paul Healey that question, he’s hoping to be able to tell us ‘the roof’. In the downtown East side Vancouver, a newly planned development at 138 East Hastings Street is ready to take the place of the old Pantages theatre which was recently condemned. At first glance the plans appear to be for standard entry-level housing, but land owner and developer Mark Williams has teamed up with former teacher turned farmer, Paul Healey, to add an agricultural twist to the project. The rooftop of the new ‘Sequel 138’ building will feature eighty-eight 8’x10’ farming gardens. These will be equally split between residents, members of the local community and city chefs – seeking to establish a direct connection with the ingredients they are using in their restaurants. Mark Williams was especially keen to address the concerns of the local community who are wary of development projects. These gardens will go alongside art spaces within the building as community spaces. In addition Healey, who already runs successful local organic farms, plans bi-monthly workshops in agricultural and propagation techniques to teach those who’d like to learn how to use their land effectively to feed themselves, or create produce to sell. Although plans are at an early stage, Paul explained that he hopes in time the local community could manage those gardens supplying local restaurants, on behalf of the chefs who have bought into the project; creating a productive relationship between the urban community and local eateries. With five commercial spaces available in the building beneath the mini-farms, we wouldn’t be surprised to see a café open up beneath the rooftop gardens, with some of the shortest farm-to-table distances around! ‘Sequel 138’ is due for completion around summer 2012, until then you can catch Paul Healey at Vancouver’s winter farmers market every weekend selling fresh vegetables from Hannah Brook Farm. Restaurants are often proud of who they're sourcing from, and this is a simple way to let their customers join them in celebrating the farms, wineries, breweries, and other artisans that put food on the best menus in town. Last week our team was a part of A Plan Bee, an event organized by Farm Folk City Folk & World In A Garden here in Vancouver. The event was this year’s installment of an annual film fundraiser that features a long list of local food businesses; it’s held at a local theater and guests are treated to an array of drinks, treats, and other samples before watching a thought-provoking film. This year’s film was “Queen of the Sun: What are the bees telling us?” which I highly recommend to anyone who’s curious about beekeeping and the (massive) role that bees play in our ecosystem. We often think about these gatherings in the context of provenance, so we spent a bit of time last week reaching out to the food businesses who’d be involved looking for some insight into where their ingredients were from. Nearly all of the parties involved sent us information on their ingredients, with almost all of them sharing specific origin locations for most of the ingredients. A few of the food offerings included ingredients that were only traceable to a particular region of the world, which we also included on the map (listed ingredients enclosed by brackets). You can see the functional map here. This event was a small, intimate affair; it represents about twenty-five vendors serving light snacks to about 150 people. The night is a celebration of local food communities and sustainability, and yet the inevitably global nature of the food in the room is obvious. Throughout the evening this visualization ignited some really interesting conversations, but the most compelling was around the importance of “local“. In an admittedly biased crowd, it became obvious to most that “local” wasn’t the only important element of thinking about food. It was obvious that “100% local” was very difficult. Many of the listed ingredients simply can’t be produced in our region, which doesn’t necessarily mean they’re “bad”. What the map offered the conversation was a chance to know more. It is a simple collection of insights into the food we were all eating that night, but what is the story behind these various ingredient-makers? Who were they and how did they produce food? Wasn’t their story just as important to us as their address? The map ignited a conversation about what people care about, and various people throughout the night held different convictions as to the food they choose to eat and buy. The map was just the beginning…many attendees could point at a particular node on the map and tell us something about the farm or food producer. Many wanted to know more about the cantaloupe from Florida. What was obvious was that looking at the “what we do know” made “what we don’t know” rather obvious, and in this the most thought-provoking conversations were grounded. What does the map show you? The Foodtree team has been fortunate to call Pravin Pillay a friend and mentor, and his ability to help teams and leaders align their actions with social and cultural motives is unparalleled. Pravin’s approach is insightful, respectful, and daring. Our intent has always been to develop a productive, motivating, self-aware culture within Foodtree that combines a deeply human sensibility with an enterprising ambition to succeed and make a difference. Pravin has been instrumental in setting us off on the right path. With that said, Pravin and his team are hosting a weekend event soon that we’d recommend to anyone looking to improve their own personal and professional well-being. The event is an experiential, interactive weekend course weaving the connections between natural ecosystems, wisdom cultures, Western science, arts, philosophy, and personal and collective leadership. You will have the opportunity to revitalize and re-awaken your sense of awe and wonder towards the natural world, finding lessons and inspiration within it, and yourself, that can strengthen your spirits and nurture the changes that you want to make in your personal life, and in the relationships with the communities to which you are connected. Location: Salmonberry Room, Stanley Park Ecology Centre, Vancouver, BC. Come celebrate local farmers, fresh food, and our new iPhone app! Foodtree and the City of Vancouver are excited to invite food lovers and food geeks to participate in the launch of an innovative citizen-driven tool for sharing information about our local food system. WHAT: Foodtree + City of Vancouver iPhone app launch! RSVP via Plancast or just show up! Beginning 10am on July 2nd at the Trout Lake Farmers Market, we’ll be introducing a free mobile phone application that allows users to interact with growers, producers and food at our local farmers markets. 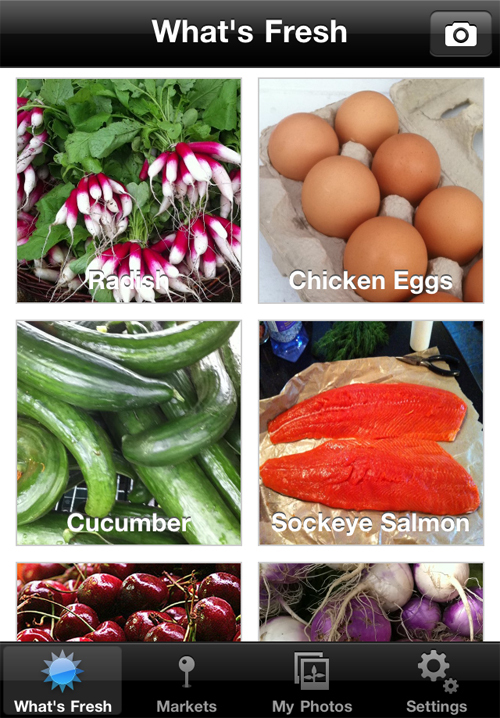 The app lets users share photos of fresh food around them, where that food is found and who produced it. At both markets, folks will be invited to participate in a lively scavenger hunt with other community leaders, elected officials, chefs and innovators who are passionate about food, sustainability and citizen engagement with our food system. We’ll be giving participants prizes ranging from Farmers Market Dollars and food truck coupons to handsome new Foodtree swag. We’ll loan smart phones for demonstration purposes and real-time results will be broadcast on screens at the Foodtree/ City of Vancouver booth. This project has emerged at a unique time. 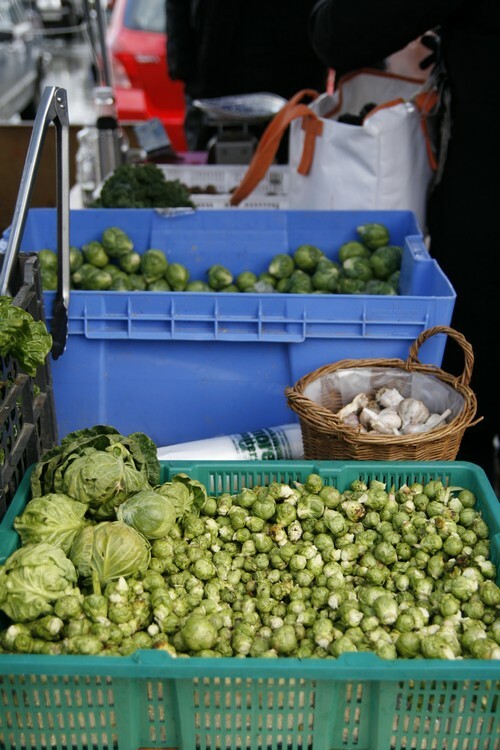 The City of Vancouver is driving global leadership in urban food systems. Foodtree is committed to helping people understand where their food comes from, who produces it, and who handles it as it travels from its source to their plate. The app is an exciting result of the synergies between our missions. The entire weekend will be plenty of fun for the whole family. Please come down to one of the farmers markets and stop by the Foodtree tent! You’re working the weekend, and you haven’t applied to Launch @ GROW. Launch Party is teaming up with Dealmaker Media to host the Opening Reception of the Grow Conference on August 17. Startups from across Canada can compete for a chance to showoff at Launch @ GROW. Only 15 startups will be chosen to showoff on August 17 and 4 lucky startups will have the opportunity to pitch live on stage at the full-day GROW Conference on August 18. To be considered, nominate your startup by June 17, 2011. With over 600 attendees including top tier investors, entrepreneurs and influencers from Canada and Silicon Valley, Launch @ GROW provides you with loads of exposure and is a great platform for you to tell the world your startup story.